The new year is here and it’s time to think about all of those changes you’ve been wanting to make. Maybe you told yourself you would finally start running every morning, or maybe you’ll finally quit that job you hate and start your own business. If it’s entrepreneurship you’ve been dreaming of, franchising offers an excellent opportunity to own your own business. So, why wait another year, or even another season? If you’re serious about your next career move, winter could be a great time to get started — here are four reasons why. Depending on the franchise model you choose, it may require physical space to run your business. If this is the case, your franchisor may have certain sizing specifications, which is why they usually assist with site selection. Some franchisors might even have an approved realtor to help you get the best possible price on your new location. For example, Pinot’s Palette puts you in touch with their real estate partners, who help you with the site selection process, and then send someone from the corporate team to do site visits with you. Winter can be a great time to find an affordable space. According to CNBC, the spaces that aren’t sold by fall usually leave sellers more open to price negotiation. Depending on your needs, apartment leases may also be discounted during the winter months. Investing in a franchise location in the winter and negotiating prices can help you keep your initial costs down. Have you seen the Top 200 Franchises of 2019? See what brands were named best of the best! Furnishing a new office and ensuring it is operational means purchasing things like printers, desks, chairs, coffee makers and more. If you’re looking to save a few bucks, winter can be a great time to stock up on your office essentials. If you can wait until after the holidays, there are often many sales to be had as retailers look to clear out their previous year’s inventory. And when you’re first opening your business, those savings can add up quickly. Spending $200 more on advertising or sales activities that actually drive revenue is worth it in the long run; rather than spending that money on a fancy office printer. Your franchisor may also be able to assist with discounted equipment. For instance, Creative World School’s affiliate, Discount Preschool, provides many supplies at reduced prices. If you’ll need any electrical maintenance or construction work completed on your space, you’ll need to obtain permits from your city. Obtaining permits and scheduling electricians, plumbers, and builders can take time, especially during the prime spring and summer seasons. Not only will permit wait times typically be shorter in the winter, but contractors might also offer discounted rates during their slow season. Shop around and do your research on the best local contractors. Your franchisor might already have connections in your area with various contractors, so be sure to ask! For many businesses, winter is the slow season. An initial “soft opening” with friends and family during this time of year can give your staff a chance to get familiar with their roles, and it will give you a chance prepare for the rush of the busy season. Getting operations like payroll and product ordering squared away before customer demands take over can help you launch on the right foot. If your first month or two is slow as you gear up for the busy season, you’ll have a chance to work out any snags and truly prepare your business for success. What franchise will you open this winter? Investing in a franchise is no small decision. It will take a lot of research before you find the franchise opportunity that is right for you. 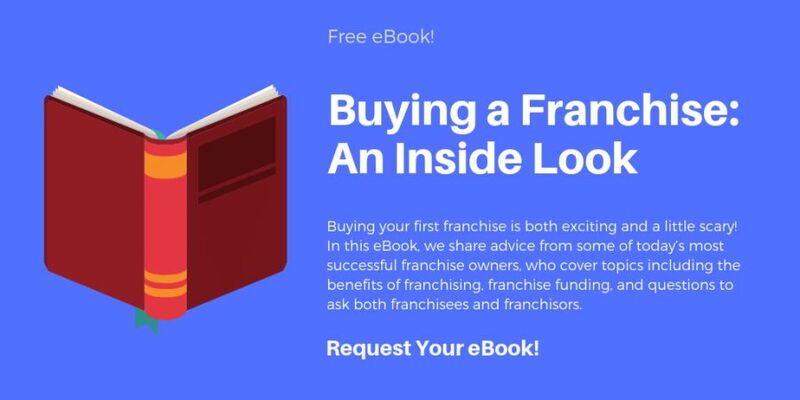 Be sure to ask lots of questions, talk to current franchisees, look at third-party satisfaction data, and thoroughly examine the franchise disclosure documents for any franchises you are seriously considering. Franchise Business Review has many tools that can help you determine what franchise might be right for you. To begin, take a look at this year’s top-rated franchises.